With so many destinations to choose from, it can be difficult to build the best plan for your budget. Our goal is to make sure your entire trip is full of fun, and great value for money. Whether you’d like to visit the best tourist hotspots or settle down in a secret corner on an isolated island where you can enjoy a cocktail and spectacular views, we’re here to help you. 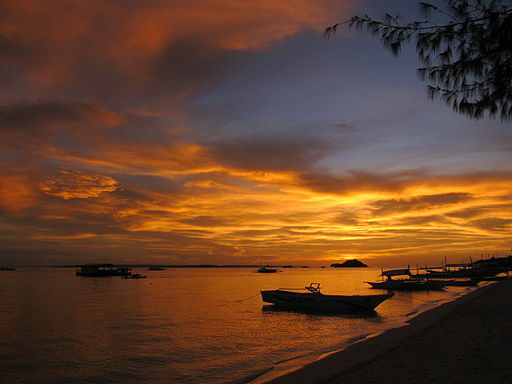 Our team of experts work around the clock to find the best vacation sites in the Philippines. Each location is handpicked to make sure it will provide everything you need for a dream holiday. We take special effort to include off the beaten path destinations on top of the popular tourist spots, to keep our offers as diverse as possible. Below you can find the full list of locations we offer, followed by a guide to picking the best islands for your vacation. ** Please note that as of April 2018 Boracay island has been closed by the government due to failing infrastructure. The island will be closed until further notice, with a minimum of 6 months allocated to the rehab project. In the meantime, the best destinations for those who want the beach and nightlife style vacation are Bohol and Siargao. How to pick the best destinations for your holiday? If you are still unsure where to go, make a note of your main criteria. How long do you have? What is your budget? Which activities appeal the most? Do you prefer to socialize or be as far away from civilization as you can get? Contact us, with this information, and we will help you pick the best places to visit. Alternatively, browse through the destinations below to see which fits your requirements the best. Alternatively, read this detailed guide and learn how to build your entire package by yourself. Once you understand what each place is all about, you’ll have no trouble planning your entire itinerary. Don’t worry if your plan isn’t solidified – we’ll review your inquiry and offer advice on how to make it even better. First off, you need to consider how much time you have. The Philippines is an archipelago and getting from one island to another isn’t always simple. Since tourism isn’t yet developed, some places don’t have an airport, and even those who do suffer from irregular flights. To complicate matters even more, weather is fickle in this tropical country and sometimes causes delays and even cancellations. Those of you with only a short time to spend can’t afford to waste a day due to such events. That is why proper, in advance planning is required – to make sure you get to visit as many beautiful destinations as time allows and enjoy each to its fullest. We recommend building a coherent travel plan that aims to minimize commuting as much as possible. Visit our guide to domestic flights to find the best deals and identify popular airlines routes you can take. Luckily, all the popular destinations are quite accessible. If you only wish to visit these, building a relatively standard package should not be hard at all. However, if you have some more time on your hands you might want to visit at least one of the more remote and secluded islands as well. While these places require extra planning and preparation, It’s certainly worth it since you’ll have the best chance of enjoying a unique experience in paradise. Generally speaking, tourists in the Philippines spread between 3 major provinces : Luzon, Visayas and Palawan. While the first 2 have large cities which serve as major transport hubs (Manila and Cebu respectively), Palawan is compltely seperate. The only sensible way of reaching Palawan is by taking a flight from either Manila, Cebu or one of the smaller islands such as Boracay or Bohol for example. 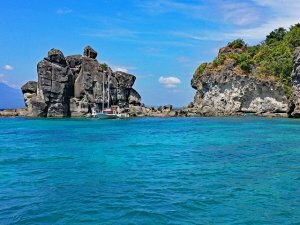 These 2 stunning islands are constantly named best in the world, and are a cornerstone in almost any vacation to the Philippines. The problem is, they are quite separate from any other destination and not the easiest to reach. Taking a ferry to either is out of the question as it takes more than a whole day, so flying there is your only option. Luckily, both places enjoy a frequent stream of inbound flights, so finding one should not be a problem. There are even small boutique airlines connecting these two islands to one another – it’s a bit expensive but works well for those on a tight schedule. Palawan is one of the largest provinces in the Philippines and you could easily spend 2-3 weeks there. Even then, chances are you won’t have enough time to explore all its stunning locations and small hidden islands and lagoons. Typically, visitors focus on 2 out of the 3 popular destinations – El Nido, Puerto Princesa and Coron. Spending 2-3 night at each of these is ideal and would allow to get a pretty good sense of what the place is all about. We offer complete Palawan packages, which include all the best attractions on the island. These can be further modified to match your specific requests. Palawan is great to visit between November and May, as it suffers from heavy rains during the rest of the year. El Nido is the most popular tourist spot in Palawan, famous for its stunning beaches and luxury private island resorts. An endless amount of secret beaches and small islands provide the best island hopping tours in the whole country. El Nido is by far the most recommended place for couples looking for some romance, so that’s what your’e after booking one of our El Nido tour packages is strongly advised. The provincial capital Puerto Princesa is also a widely popular destination, thanks to world class island hopping around Honda Bay and the famous Underground River. A wonderful mix of nature and exciting attractions, coupled with all inclusive resorts, make Puerto Princesa the perfect family-friendly destination. Coron, on the other hand, is a diver’s haven, known for some of the best wreck dive sites in the world. Less tourists frequent this place, but the level of hotels is still quite high. 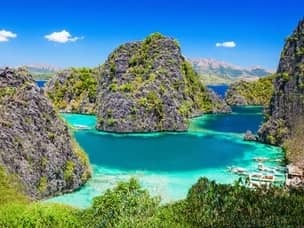 The twin lagoon and limestone cliffs create some of the most iconic landscapes of the Philippines, so if you have the time you’d do well to book our Coron tour package and spend a few nights there. Unlike Palawan, Boracay is a tiny island where all the main attractions are concentrated fairly close to each other. It boasts the famous ‘White Beach’ strip of sand which has been named the best beach in the world by countless magazine and publications. The entire beach is covered with bars and restaurants, making Boracay’s nightlife the best in the Philippines. Other than beach bummin’ and bar hopping there are many other activities you could try, such as diving, snorkeling, island hopping, parasailing and kite surfing. Thanks to Boracay’s immense popularity in recent years, there are now more than 400 different hotels on the island. Finding one which fits your budget and standards should not be a problem, and prices are the most competitive you’ll find anywhere in the Philippines. Since the island is small and attractions are limited to mostly the beach, booking a 3 days Boracay package is ideal. Peak season is between November and May, so that’s the time to go if you are looking for wild parties. However, since weather in Boracay is steady all year round, so visiting off-season is also perfectly fine if you want to avoid the crowds. Even though some Asian airlines operate direct international flights to Cebu city, most chances are Manila is where your trip will begin. If your’e only planning a week long island getaway, spending a day in Manila is probably a waste of time. 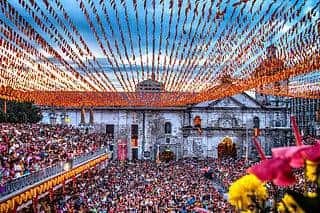 It depends on your exact time of arrival of course, but generally it would be better to find a quick connecting flights straight to the islands and avoid Manila altogether. That doesn’t mean Manila isn’t an interesting destination – it’s one of the most diverse and unique metropolitan in the world. Manila offers the best location for experiencing the local culture, history, food and arts, as well as some of the best nightlife in the whole country. We offer exclusive Manila day tours, both in the city and close by, to make sure you experience this amazing city to the fullest. Travelling in Luzon is done mostly by buses, since most places are relatively close, but private vans can also be arranged. The best time to visit the area is during the summer – between March and late June. Not only that, there are a lot of beautiful locations nearby which are all worth a visit. The Taal volcano in Tagaytay is one of the most popular day tours in the Philippines, and so is the hike to Mt.Pinatubo’s crater. 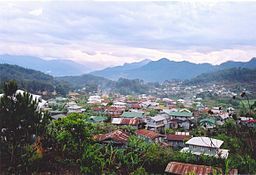 If you are willing to travel even further away, visiting the Sagada mountain province is also highly recommended. 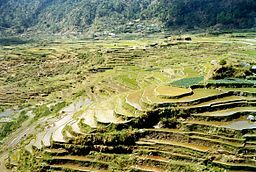 Full of beautiful attractions, Sagada is also the jump-off point for tours of the famous rice terraces in Banaue – one of the most special landmarks in the Philippines. If for whatever reason your vacation is restricted to the Luzon area only, it doesn’t mean you can’t enjoy some spectacular beach locations as well. 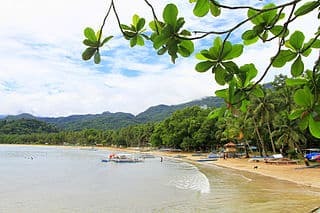 Batangas is only a few hours drive away from the city, and offers some of the most beautiful beaches in the Philippines. From Batangas pier you could also take an hour long ferry and reach Puerto Galera. 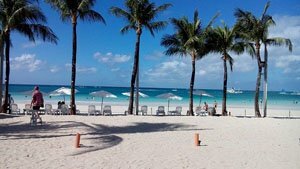 This beach town has more than 30 different beaches you could visit, and some of the best all inclusive resorts you will find. Visayas is the central region of the Philippines, consisting of numerous islands of varying size. The most popular spot is Cebu Island where Cebu city, the 2nd largest city in the country, is located. Thanks to its central position, Cebu serves as a major transport hub and flights to the island are frequent from every other destination in the Philippines. The entire Visayas region is also quite sheltered from Monsoon winds during the rainy season, making it a perfect destination for those who travel during the rainy season. Cebu Island has seen an incredible rise in tourism over the past few years. The city itself resembles Manila – there are quite a few historic monuments to visit and the nightlife is vibrant. Nearby Mactan island, where Cebu’s airport is located, offers all inclusive resorts and is the starting point to many excellent island hopping tours. 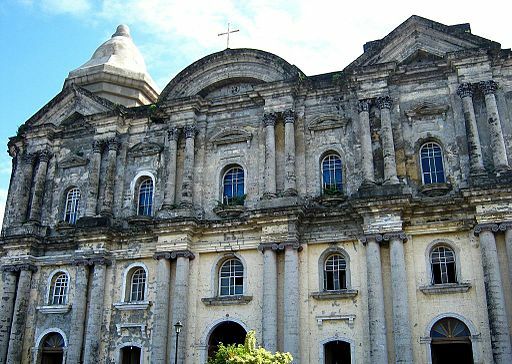 Primarily, Cebu city serves as a base from where you can embark on countless exciting day tours around Cebu island. Our Cebu tour package will allow you to experience both the city and its surroundings, so don’t hesitate to check it out. The reason this place is so popular is the amount of unique attractions it has to offer. The Kawasan Falls in Badian are one of the most spectacular in the country, while diving tours in Malapascua are highly recommended. 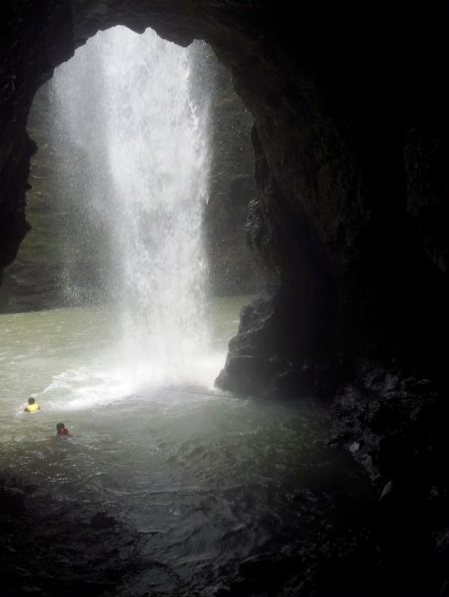 Adventure seekers could also reach Kawasan Falls by taking a canyoneering Tour from Moalboal – a full day packed with action. Lastly, there’s also Oslob – the best place in the world to swim with whale sharks, since they are present all year round. Just an hour long ferry ride from Cebu is where you’ll find Bohol. An exciting combination of clear white beaches and breathtaking scenery makes this island one of the most popular destinations in the Philippines. Bohol’s laidback atmosphere and abundance of available day tours make it the perfect location for people of all ages. While it’s highly recommended to stay a few nights on the island itself by booking a Bohol tour package, day tours from Cebu are also available. The Chocolate Hills, a unique natural geological formation , are the most famous attraction and it can be combined with other popular activities such as visiting the Tarsier sanctuary or taking a cruise down the Loboc river. 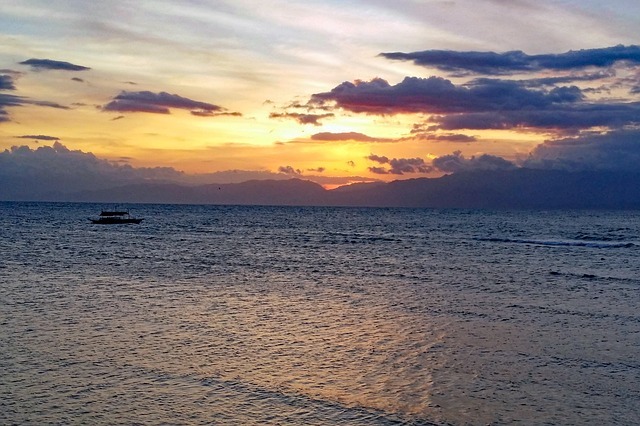 Another nearby island which is worth a visit is Negros, and primarily its capital Dumaguete City. This is a student city with a young and vibrant atmosphere, and a rich and unique history. 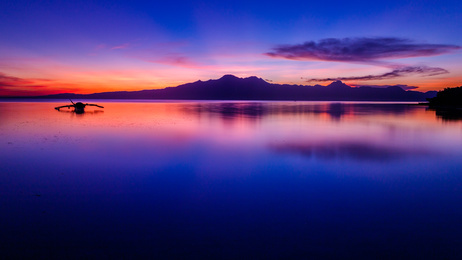 While you can reach the Twin Lakes of Negros on a day tour from Cebu, it’s much better to spend a night in Dumaguete and visit it from there. On top of that, you could take a day and dive at Apo Island – a marine sanctuary which is home to at least 50 sea turtles. Whale shark watching is also available here, and so is Dauin beach, another diving mecca, so it’s easy to see why Negros is considered a diver’s paradise. When people think of the Philippines, they usually imagine some remote island full of breathtaking scenery and adventure. Even though the popular islands certainly satisfy that desire, some people are still searching for that raw, unexplored paradise. We make a special effort to make such places as accessible as possible to our clients, by offering detailed guides and advice, as well as complete package tours. Siargao island is no longer the best kept secret it once used to be, as it already gained a reputation for being one of the best islands in the Philippines. Still, its relatively remote location deters most tourists from going there, which means the atmosphere is laid back and quiet. Famous for being the surfing capital of the Philippines, it also offers island hopping and a beach experience which rivals those of Boracay and Palawan. If you have 10 nights in the country, combining one of these destination along with the classic package is highly recommended – it will add a lot of unique flavor to your trip. Those visiting Siargao would do well to spend at least 3-4 nights on the island, and we’re sure you’ll still feel you could stay longer. 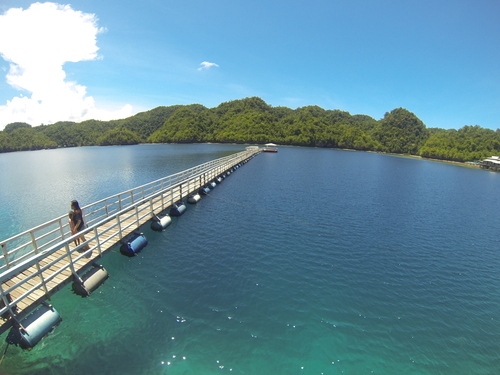 Nearby locations such as Dinagat and Bucas Grande provide some of the best day tour options you can imagine. Sairgao recently got its own airport, so flying there is the best option, but a night ferry from Cebu is also a good choice if you want to cut costs. 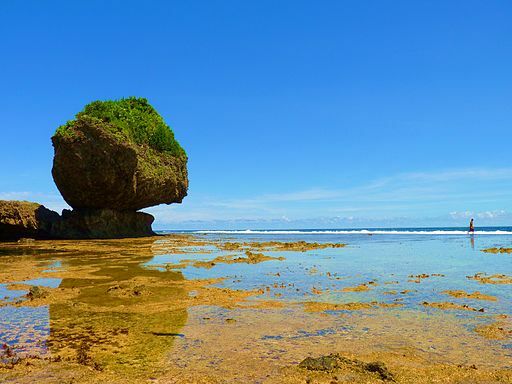 Our Siargao tour package provides everything you’ll need to fully enjoy this fantastic destination, so you can say you visited one of the world’s best islands before it became famous. Another highly recommended island is Camiguin – the epitome of nature and wilderness. Although it’s a small island, it hosts no less than 7 different volcanoes, all covered by dense jungles. The beaches are just as impressive, and there’s even a black sand beach which is surprisingly soft and nice to lay on. 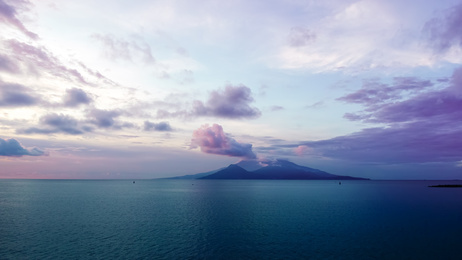 Camiguin is the most romantic place for those who wish to be one with nature – hiking, diving and island hopping are all popular choices there. Weather in Camiguin is fine all year round, making it a great option for rainy season vacations. 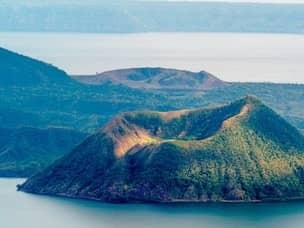 There’s just 1 daily flight from Cebu, but you could also fly to Cagayan De Oro and take an hour long ferry from there. Read our guide and book one of our Camiguin packages, and we’ll make sure your time there is well spent. If you want something different than an another island getaway, the Northernmost parts of Luzon hides one of the best kept secrets of the Philippines. The Ilocos province is a place not many tourists have visited, and is mostly popular among local visitors. 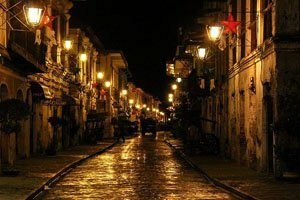 Taking a night bus from Manila is possible, as well as a flight to Laoag. From there, you’d want to visit Vigan City – one of the most special places you’ll ever see. Named as one of the new7wonders cities of the world – Vigan offers a premier example of Asian-Hispanic tradition and culture. Not far from there lies Pagudpud, often named ‘the Boracay of the north’, where you can find 5 star beach resorts for ridiculous prices. 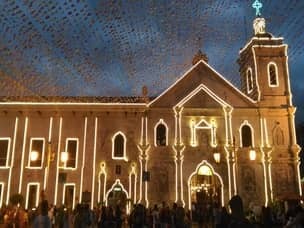 Spending 2-3 nights in Ilocos should be enough, even though our Ilocos package allows for more time there if you’d like. The perfect holiday in a world-class resort doesn’t have to come with a hefty price tag. Whether you’ are traveling with family or celebrating your romantic honeymoon, we’ve got you covered. For a really luxurious treat, stay in an isolated island in El Nido covered with tropical forest while the clear waters lap at your doorstep. With a large number of all-inclusive resorts, this region are is guaranteed to provide the relaxing VIP treatment. Unwind in a spa or join in with some endless island adventures in one of the world’s most beautiful destinations. If you prefer everything to be within easy reach, the fancy shopping and yacht cruises of Manila might be more your style. We can organize a personalized itinerary including all the highlights of this fascinating city. From award- winning restaurants to 5- star hotels, we will take care of all your bookings and help you have a dream vacation. It’s very easy to have a great vacation in the Philippines without going overboard and on spending. The best way is by staying away from the top tourist destinations and finding great, affordable alternatives. Boracay, for example, is so popular that prices are far higher than elsewhere in the country, especially during the high season. 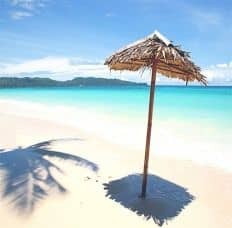 An alternative might be Puerto Galera, with its white sandy beaches, range of accommodations for any budget, and much less crowded beaches. 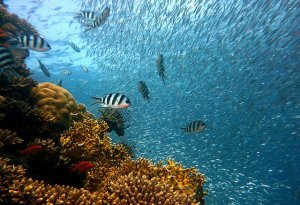 This region has high marine biodiversity making the diving and snorkeling much better too. From here, you can also go trekking to one of the best waterfalls in the area, or meet local villagers and explore the island on by motorbike. We can help narrow down your options based on your budget and desired activities, and we will provide you with the best deals. We will also find the best hotels in the most suitable destinations so you can enjoy your vacation on a budget. Another way of choosing your preferred destinations is by thinking of what you would like to see and do. Most islands offer a plethora of activities, with island hopping and diving being the most common ones, but each has its own unique attractions for which it is known for. Read below to get a quick highlight of the best spots to try certain activities most tourists are interested in, or visit our tours catalog, review everything we offer, and choose for yourself. Tubbataha Reef is only accessible between March and June by liveaboard so advanced bookings are essential. Located to the east of Puerto Princesa, this is one of the best diving spots in the world. 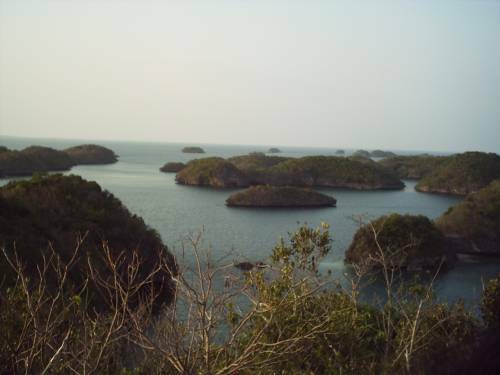 It’s a protected site, extremely rich in marine life. Divers can swim with reef sharks, manta rays and even, whale sharks, and marvel at the colorful corals found everywhere. Another great option is Apo Island just off the coast of Dumaguete. We can arrange for you to take a private boat or to join a group tour. Here, you’re guaranteed to encounter turtles as big as your coffee table very near to the shore. You don’t even have to swim too far because they are everywhere! Siargao has gained fame as the surfing capital of the Philippines. Cloud 9 waves never disappoint, and surfing enthusiasts can take part in the annual Siargao Surfing Cup, which is held on the island. There is no other place for surfing as good as Siargao in the whole country. For novice hikers, Pico de Loro in the Cavite province comes highly recommended, and It’s also very close to Manila. We can arrange day tours for groups, which include transfers, foods and hiking kits. For more experienced climbers, the country’s highest peak, Mount Apo in Davao poses a greater challenge. You can opt for a private tours with your own tour guide, rented hiking gear (if you don’t have any) and food, or you can join a group of other people and make new friends while exploring this amazing country. Limited time offer : Rates as low as 80 USD a day! We work hard to present you with a wide range of varied recommendations for your trip, including top attractions and hidden gems, and we plan your tour to give you the best possible rates. We only work in the locations where we are 100% confident we can guarantee your safety and enjoyment, and we provide you with a service that will keep you satisfied. 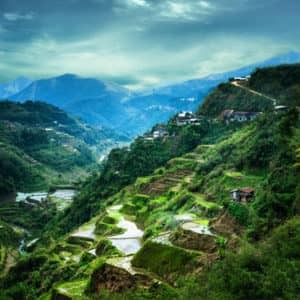 Our strong local connections and extensive travel experience in the Philippines guarantee that we deliver. By helping you plan your trip and offering tailor- made vacation packages, we make sure you find the best destinations for your desired holiday, and help solve any unexpected issues during your stay. It doesn’t matter what kind of adventure you’re seeking, we can make it happen. Read our reviews and guides and start adding items to your cart, or contact us directly and we will help build your whole custom package from scratch. Hello there,i’m interested to do Northern Luzon tour like Sagada ,Vigan , Ilocos Sur, Baguio,Hundred Islands,Subic. Have u got package tour for that,travelling with 1 companion,preferred 3 star hotel accomodation.And also to do Cebu,Bohol tour.How much r they? Can i get ur contact number pls. Ur suggestion is higly appreciated. Hi Carmel and thank you for the comment. We can’t help you without knowing your travel dates or your estimated budget. Please fill our inquiry form here, and we’ll get back to immediately with a quote for a package. We will send you an email tomorrow, but you can also look at our Malapascua packages here and see if there’s anything you like. Hi, I’m looking for a tour package for 3 days and 2 nights to Pangasinan for possibly 8-9 persons. Do you have a tour package only without accommodation? If accommodation is included what/where is the resort/hotel? I would like to get a sample quote based on the information provided but if you need more information please let me know. Thanks! Hi Don and thanks for leaving a comment. One of our agents will get in touch shortly. In the meantime, you can read about everything we offer in Pangasinan here. I would like to get a proposal for a trip between 1 August and landing at 6:00 am to 7 August at 20:00 in the evening. We are 3 couples and 11 years old. Hi Shimon and thanks for leaving a comment. One of our agents will get back to you today with a detailed proposal. I am coming to Cebu city for work but I am arriving a few days to visit around. I am arriving to Cebu airport on the 11th november around noon and have to be back on the 13th by night. Do you have any suggestions/tours to visit natural places not too far away from Cebu city? Take a look at Moalboal – plenty of cool stuff to do over there and it’s better then sleeping in the city.